Perform a variety of tricks with this 2.5 inch rebound ball. 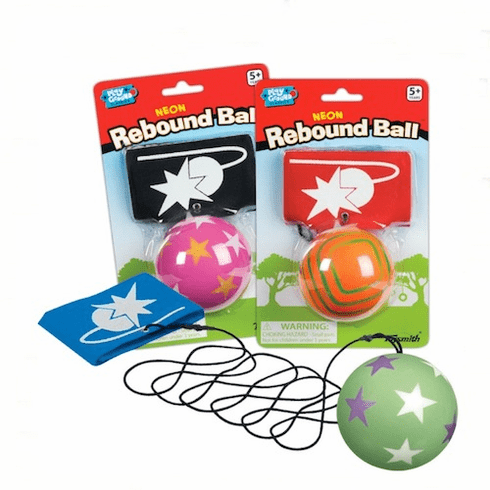 Each soft foam ball has a 50 inch stretchable cord attached to a Velcro wrist bracelet. Assorted colors subject to availability. Price per ball.